Welcome to Poolside Villas! 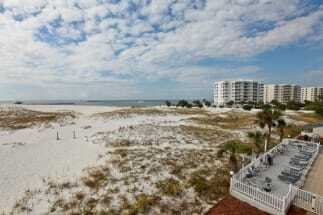 Emerald Coast by Owner is proud to be your premiere vacation rental service for this awesome spot! We offer you a number of luxurious properties, consisting of our typical elegance and comfort! Poolside Villas is located near the beach in Holiday Isle, Florida! These villas are some of the best on the market and you surely don’t want to miss the chance to stay in one! So when you stay at poolside villas, the complex surrounds an amazing luxurious pool, gives you a gorgeous view of the beach and ocean and provides you with easy access to the beach and numerous activities throughout the area! Some common things to do when staying down here are go paddle boarding, parasailing, deep sea fishing, boat tourism, golfing, jet ski rentals and so much more. When it comes to groceries, we don’t want you to stress! There’s numerous local grocers carrying anything you could want or need during your trip! However, if you plan on eating out, you’re in for a delicious eat! Seafood down here is as good as it gets, and we want you to try the best of the best. Places like Bistro Bijoux, a fine dining seafood spot, will provide you with excellent service, food and overall pleasure! Another fun place we recommend you try is AJ’s Seafood and Oyster Bar, you do not want to miss out on a meal there. 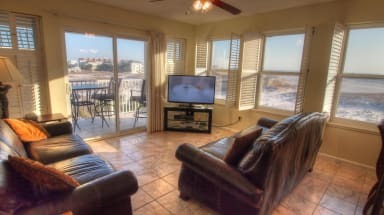 Discover your next vacation rental with Emerald Coast by Owner at Poolside Villas. Click here to book with us now! When you book with Emerald Coast by Owner, we make it easy for you to choose where, when, and what you want to do on your trip. Contact us with any questions!